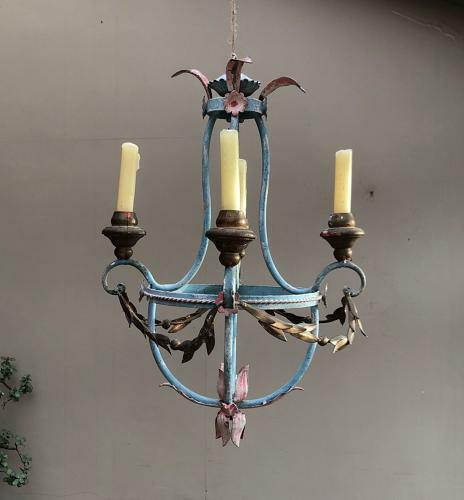 Very pretty Mid Century Metal Chandelier. Blues, gilt and pink...florals and swags. Slightly naturally distressed in places. It was wired for electricity which had to be removed anyway and it looks equally lovely with candles just hung from the ceiling...OR have it re-wired by an Electrician. Can be wrapped and posted Parcel Force 48 for £15.